A 50% deposit on booking is required, and a 10% cancellation fee applies. Jason Jaffray began drawing at the age of six years old. He's unique creative ability does not stem from natural ability alone, but from years of trial and error with different mediums. At present he resides in Port Elizabeth and now at the age of 34 he is recognised as one of South Africa's fastest upcoming artists. 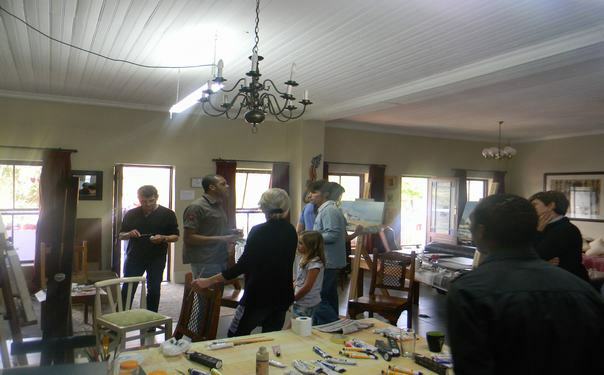 His latest achievement is an invite to exihibit at the Ron Belling Art Gallery, one of the top galleries in South Africa. 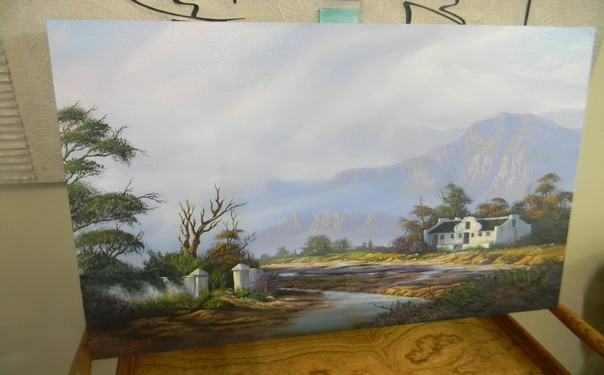 He is a completely self- taught artist that specialises in landscapes and wildlife. For the past four years he has dedicated most of his time to teaching and currently runs a full-time School Of Fine Art with more than twenty students. 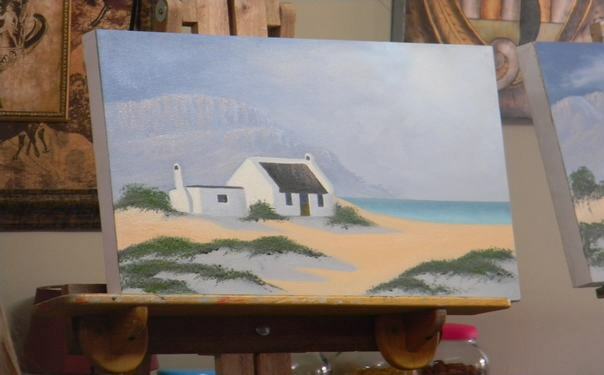 His unique approach to landscape painting techniques has led him to good success with beginners and intermediate painters alike. 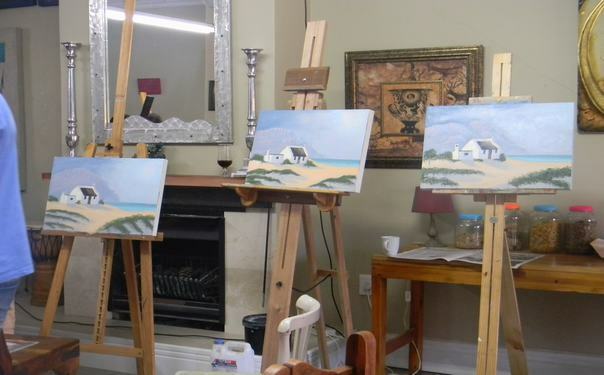 He offers weekend workshops where he introduces students to the fundamental principals for landscape painting. Come and join us for some good food and rockin local music.